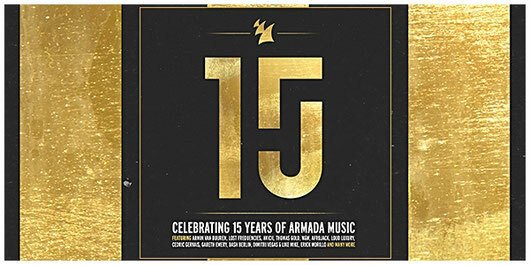 ARMADA MUSIC CELEBRATES 15 YEARS OF QUALITY DANCE MUSIC WITH 4CD COMPILATION! It seems like only yesterday when Armin van Buuren, Maykel Piron and David Lewis started realizing their joint dream together, braiding their respective knowledge and visions of the music scene into an endeavor that would still be going strong a decade and a half later. Now, Armada Music can look back on 15 years of quality music across the board, and they’ve included the pick of it all in this pivotal compilation. Through ‘Armada 15 Years’, music lovers from all over the world get to revel in 100 of the Amsterdam-based record label’s most iconic and popular releases. Digging into the cultural heritage of electronic music via tracks such as Chicane’s ‘Offshore’, Dash Berlin’s ‘Here Tonight’ and Vincent de Moor’s ‘Fly Away’ while also featuring the tracks that have dominated charts and festivals across the globe in the past few years. With ‘Armada 15 Years’, you get a piece of dance music history that has already proven both timeless and contemporary. Let’s make it at least fifteen more years, shall we?